Art curator Val Caruso is not a happy camper. His promotion has just been nixed, his divorce has become final, and he’s dug himself into a nice little rut for his fortieth birthday. The uplift? A trip to Milan to help Holocaust survivor Sol Bezzecca recover a pair of cherished sketches by Renoir. They’d once been given to Sol’s family by the artist, looted by the Italian Fascist militia, and now after decades in hiding have turned up for auction. It’s Val’s job to get them back. Unfortunately, his Italian adventure takes a dangerous turn when he becomes trapped in an intricate web. Recent art school graduate Bekah thought she’d hit the jackpot: an unknown relative died, and she inherited a small fortune and a huge house in the mountains of North Carolina. Trey Howard, the lawyer who handled the estate, is a handsome man in his 20s and they hit it off right away - and soon become more than friends. Bekah expected a pleasant year to get her head together and have a romantic fling. Problem is, the house is full of junk...and siblings she didn’t know she had are willing to kill her for it. Maire is a baker with an extraordinary gift: she can infuse her treats with emotions and abilities, which are then passed on to those who eat them. She doesn't know why she can do this and remembers nothing of who she is or where she came from. 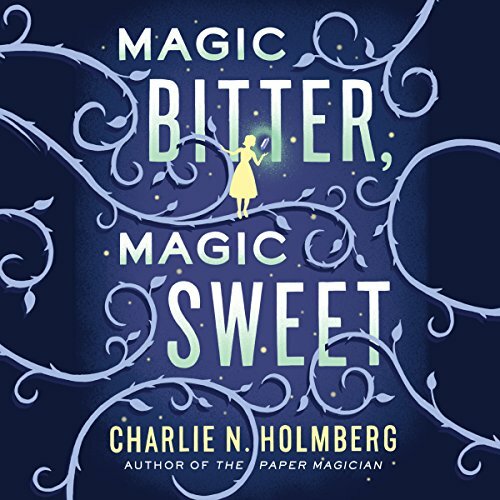 When marauders raid her town, Maire is captured and sold to the eccentric Allemas, who enslaves her and demands that she produce sinister confections, including a witch's gingerbread cottage, a living cookie boy, and size-altering cakes. During her captivity, Maire is visited by Fyel, a ghostly being who is reluctant to reveal his connection to her. The more often they meet, the more her memories return, and she begins to piece together who and what she really is - as well as past mistakes that yield cosmic consequences. ©2016 Charlie N. Holmberg (P)2016 Brilliance Audio, all rights reserved. 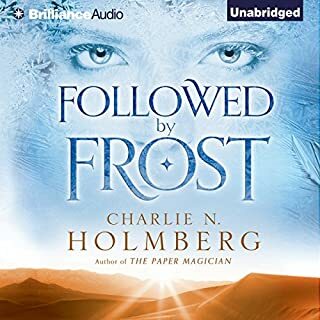 I guess it's a testament when you like an author's writing and a narrator's speaking enough to stick with a story that you really lost interest in halfway through. 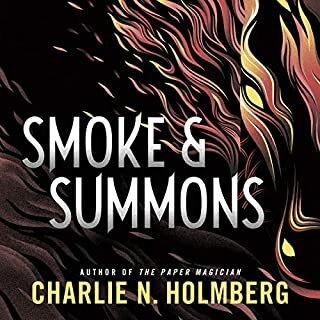 The premise I was intriguing and I love the Paper Magician series, so I thought this take on cooking emotions would be entertaining. A lot of the book was the main character overcoming enslavement and continuously being kept in the dark about her origins. I wish I could give this a better rating, but it just wasn't the story I was looking forward to by the end. This story was very creative, however, it was also depressing. I almost didn't finish it because it seemed like there was no redeeming quality to it. I think it could have been more magical and less depressing. I would not re on end it. This is a story about a woman who does not know her past. It is a fantasy set in a world that we do not know but has medieval overtures to it. Maire is the heroine who has the gift of baking magic into her cakes and sweets. When maurauders attack the town she lives in she is sold to a man who is not quite right. She struggles to understand and to escape. Kate Rudd is a wonderful voice artist - and gives life to this story. what I liked: the writing is compelling and I had to read to the very end. what I didn't like: there were elements that bothered me (this is my opinion only-very subjective others may not agree)- I didn't like what she ended up being- nor the connection to her "captor". this was a bittersweet story. I can't say more unless I give away key points. I do recommend - especially for the writing. But im curious as to what others may think. I loved this book, and the narrator is one to follow. This story is a constant mystery and, while it did get tedious at times, the narrator's acting kept me interested. I did love the story once I got to the end, too! the narrator was Excellent. this is an imaginative story of a woman's yearning for love, happiness, & family. The story was fantastic but the narrator really sold the story for me. I'll definitely listen to this narrator & stories from this author again. Despite the originality, this was a very dull story. I really love Kate Rudd, which was the only way I completed this book. I actually liked Allemas, starting when he changed his name. The first time. I found him refreshingly mysterious. I wouldn’t pick up another book by this author. And honestly, I don’t even know how this ended up in my library. 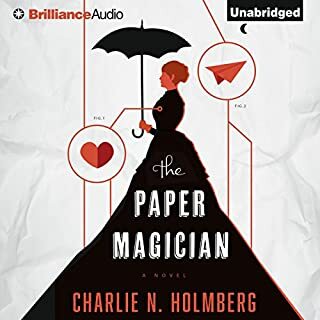 I thoroughly, thoroughly enjoyed The Paper Magician series, so I was excited to try this new one. However, the story wasn't even wholesome. Her other stories honored the beauty of marriage. Here the main characters are being immoral against the idea of marriage. But you do not find this out until near the end. So here I was all wrapped up in the story, only to see it plunge into base romance-type stuff. Just disappointed. Disappointing is putting it mildly so I’m just going to jump in. The twisty plot is very often difficult to follow. The repetition of the same word three times is reminiscent of a school child trying to reach the desired word count in a book report. The ongoing synonyms for an initial idea are nerve grating. If the reader didn’t get that the action was painful, 15 additional synonyms aren’t going to help. The Magician Series is good. Don’t waste your money on this one. so different so datk... so amazing! 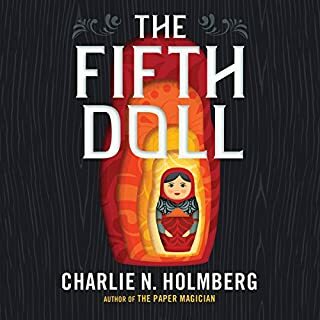 i started this book with paper magicians dancing in my head - and was disoriented... this is NOTHING like paper macicisns - Very different world - but wow I just kept going falling deeper and deeper and then ... and then i really think this is ine of the best stories i’ve read... complex - dark - but not a nightmare... a story. a really good complex story... Excellent! the woman performing this sounds like a robot. 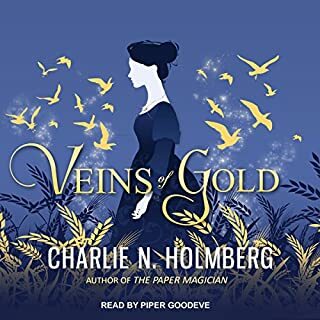 couldn't listen for longer than 5 minutes, I love this author and I'm really upset that I can't rate this high because I don't even know what the story was! Didn't really know what I was getting into here. But followed the story to the end. I won't read any more books by this author but it was a adventure into fantasy fiction. 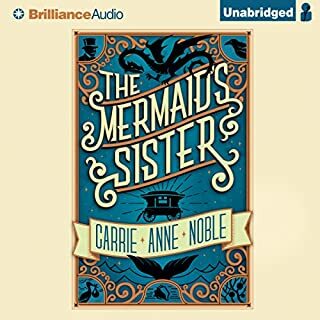 Where does Magic Bitter, Magic Sweet rank among all the audiobooks you’ve listened to so far? Starts a bit slow, but picks up ans stays there. Itis also a bit predictable, but even so it is intresting and a good time.